To not overly bore you by explaining everything again, check out the rules and the first set of deals over in Part One. 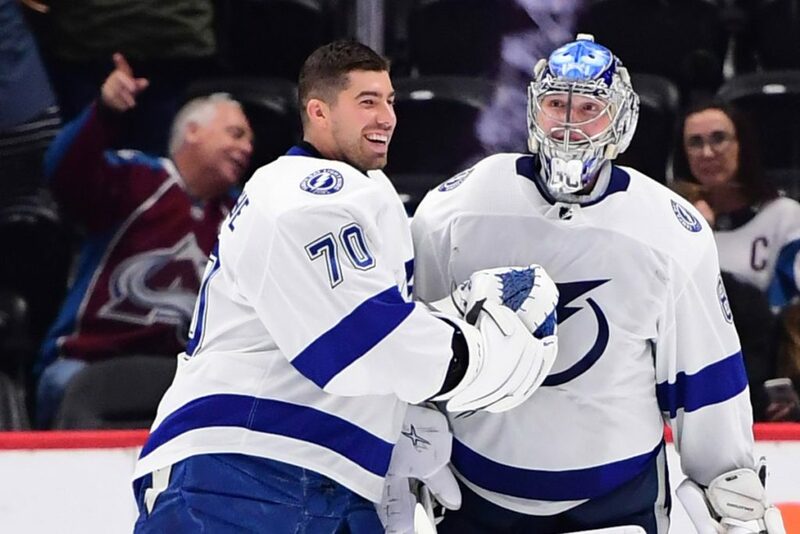 The Scenario: The Lightning realize that they are much better than anyone else, except when they have Backup McBackupface in net, or Louis Domingue – as some people call him. They remedy this by spreading the wealth and finding a capable backup goalie. The Deal: Steven Stamkos and Ryan Callahan for Justin Williams, Curtis McElhinney, and Adam Fox. Why it would work: The Lightning will need to shed salary at some point. Stamkos has arguably become the fourth-most important Lightning player with Nikita Kucherov, Victor Hedman, and now possibly Brayden Point overtaking him. $8.5 million is an awful lot for your fourth best player and his 50 goal days are likely behind him. Plus, the real reason this would work is somehow you convince Callahan to move on and get to dump a $5.8 million cap hit for a fourth line player on Tampa. Not to mention getting a solid prospect (and key piece of the Elias Lindholm/Dougie Hamilton deal) in Fox, currently with 20 points in 11 games for Harvard. This isn’t all about the dumps and prospect though, as Williams is known as “Mr. Game 7” for his clutch goals in the playoffs, specifically two Stanley Cup wins with the LA Kings in 2012 and 2014. Clutch scoring is something Tampa lacked in last year’s goal drought in the last three games against Washington. Not only that, but McElhinney has proven to be a solid backup and potential starter-quality with his time with the Leafs last season and Hurricanes this year. New Canes owner, Tom Dundon, has been outspoken about making big moves and acquiring skilled players, so how better to do that then by getting another six years of Stamkos, even if you have to eat Callahan’s money for a couple of years. Stamkos is just the type of star a gung-ho Dundon might want to make a move for, even if you do give up a valuable prospect. Why it doesn’t work: This is one of those deals that I actually really like as a real-life deal, as it would set Tampa up with cap space for Point and give them a controllable asset in Fox for years to come. Also, this is the big time deal everyone has been waiting for the Canes to make after they lost out with the Leafs re-signing William Nylander. That being said, there is no way the Lightning give up Stamkos just to dump Callahan, even if it does address a couple of needs. Plus the cap space savings are important the next couple of years, but as the years go on and the cap goes up, $8.5 million will be less and less percentage of the cap. 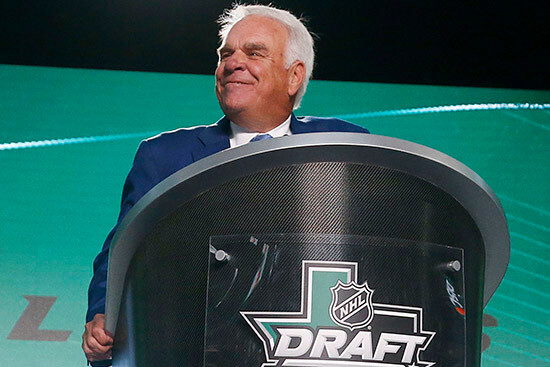 The Scenario: Stars CEO Jim Lites- backed by owner Tom Gaglardi – comes out of left field and utters a vulgar choice of words calling out a couple of players that are in the middle of a playoff chase. This planned outburst deeply offends his captain, Jamie Benn. Funny, this almost feels like real life, but nah, no way a management/ownership group would do something that stupid. The Deal: Jamie Benn and Radek Faksa for Blake Wheeler, Bryan Little, and a 3rd round pick in 2019. Why it would work: The Stars seem as if they are ready to shake things up, and may have jaded Benn and Tyler Seguin, whom are both signed to long-term deals. Seguin, a #1 centre is the least-likely to move due to his position, age, and the fact he just signed his new deal – which does not kick in until next season. That leaves Benn, four years removed from an Art Ross Trophy, whom Winnpeg would love to add, even at the expense of captain and Winnipeg-lover, Blake Wheeler. As Wheeler just came off 91 point season, Dallas would need to throw something in, which is where the Little/Faksa swap comes in. Faksa would replace Little and save Winnipeg $3 million in salary which would be huge for the next few years as Winnipeg needs to re-sign nearly all of its defence corps. The third round pick would essentially pay for the age disparity between Benn and Wheeler – and some people may argue the pick should be higher, but Wheeler has less term and cap hit, so Dallas is getting a bit of a deal in that regard. Why it wouldn’t work: Both Benn and Wheeler recently signed new deals, and the Jets especially are in no hurry to move their loyal captain. Not only that but Benn isn’t too far removed from being considered a top 5 player in the world, whereas Wheeler is considered a fringe top 10 winger. Faksa is also only 24 and would be a restricted free agent after next season, whereas Litte’s deal is over $5 million a year for five years after this season. 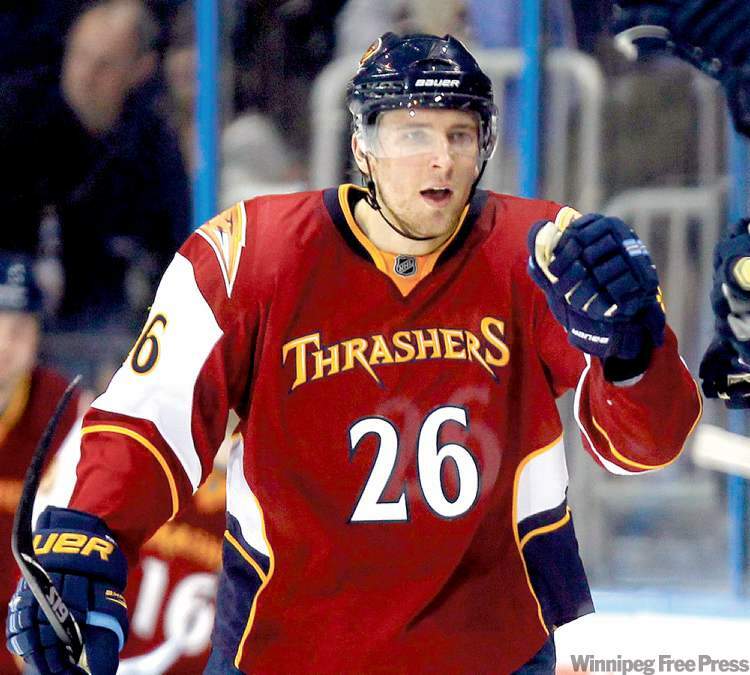 Plus, come on, Wheeler was a Thrasher and moved to Winnipeg with the team, that’s loyalty. The Scenario: No funny, made-up scenario this time – I actually thought of a deal that would make total sense for both teams! The Deal: Chicago acquires Mikko Koivu, Nino Niederreiter, a first round pick in 2019, and a fourth round pick in 2020 for Jonathan Toews and Chris Kunitz. Why it would work: It makes total sense for both teams. Do the deal. Do it now! Seriously, Chicago needs to start the rebuild at some point, and this would get them a first round pick and another mid-round pick, while also picking up a younger, speedy winger with some term in Niederreiter. Plus, although the salary is pretty even this season, Koivu is only under contract for one more season and Niederreiter for three more. So although Chicago wouldn’t save much this year (with Kunitz as part of the deal they save just under $1 million), with the $10.5 million Chicago is currently paying Toews the next five years, it would save more than half of that when Koivu’s deal expires, or is traded or bought out. Niederreiter could be kept for the rebuild or sold for additional assets. 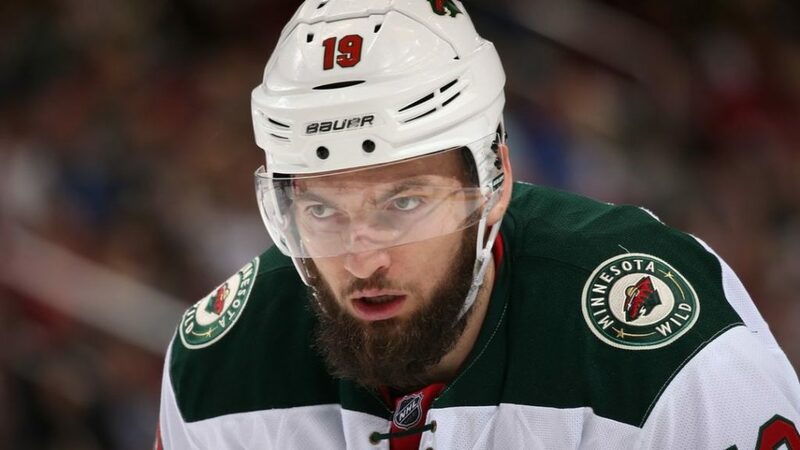 In Minnesota’s eyes, they are getting a top-line centre who could give them a great one-two punch this year and potentially replace Eric Staal, who is an unrestricted free agent as season’s end. Minnesota would be giving their centre ice depth a huge upgrade and get a proven playoff performer in Kunitz, who is a free agent at the end of the season so he does not need to be kept. Plus, most armchair GMs suggest Minnesota would have to give up a stud defenceman to make any deal work, whereas this deal only strengthens their position for this year and gives them cost certain going forward with their #1 centre. The 1st round pick also doesn’t mean as much next year if you plan at taking a few more kicks at the bucket. Plus Toews for a first is better than Hanzal for a first, right? Why it wouldn’t work: The saying “If something sounds too good to be true, it probably is” applies here. I think the Hawks and GM Stan Bowman are still having a hard time accepting their fate, and it will be incredibly difficult to move on from face-of-the-dynasty, Toews. Minnesota might also consider Toews cap hit to be too high and are still sour enough on the Hanzal deal that a first might not work for them. …And that ends things for Part Two of “what if every team had to trade their captain for another captain?” So guys, stay tuned as Part Three will be out next week, and you’ll probably want to know where Crosby, McDavid, Ovechkin and more end up!